The Arcade Backpack is a wearable arcade cabinet based on a design by the UCLA Game Lab. The backpack allows for impromptu, nomadic exhibitions of games in a variety of venues. 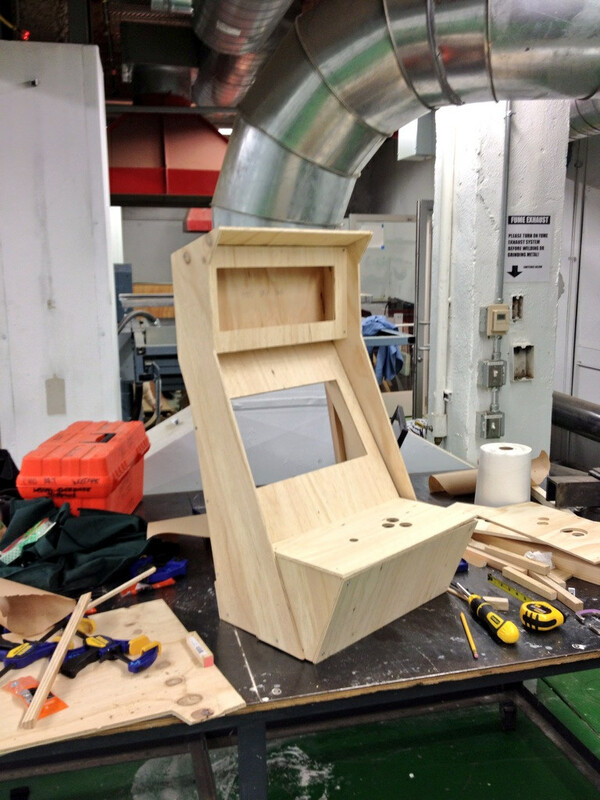 The cabinet frame is constructed of CNC-milled plywood and assembled to house a laptop, arcade style controls, and an LED Marquee. The entire cabinet is holstered onto a military grade back frame. This version, fabricated by Paolo Pedercini, was originally deployed during VIA, a music + live video festival in Pittsburgh, running a rotating selection of independent and experimental video games. 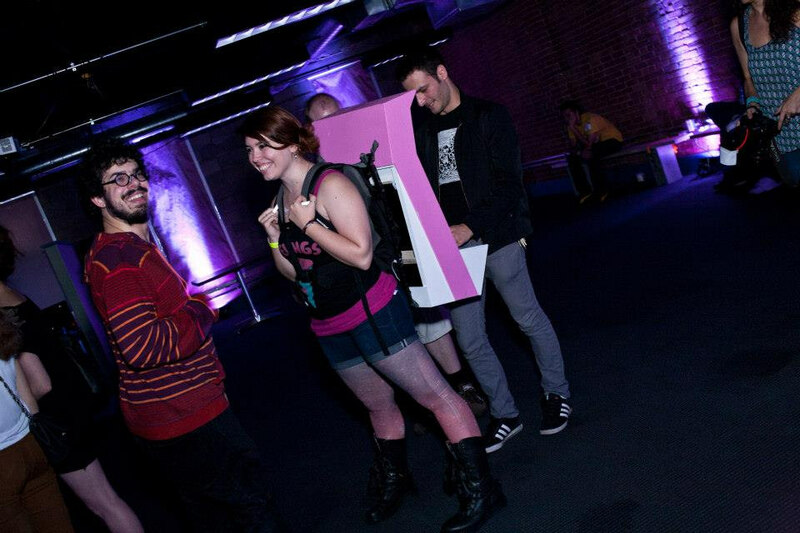 The Arcade Backpack successfully engaged festival goers, who weren’t expecting to see video games in a rave-like setting, and created peculiar social interactions between the human arcade cabinet and players. 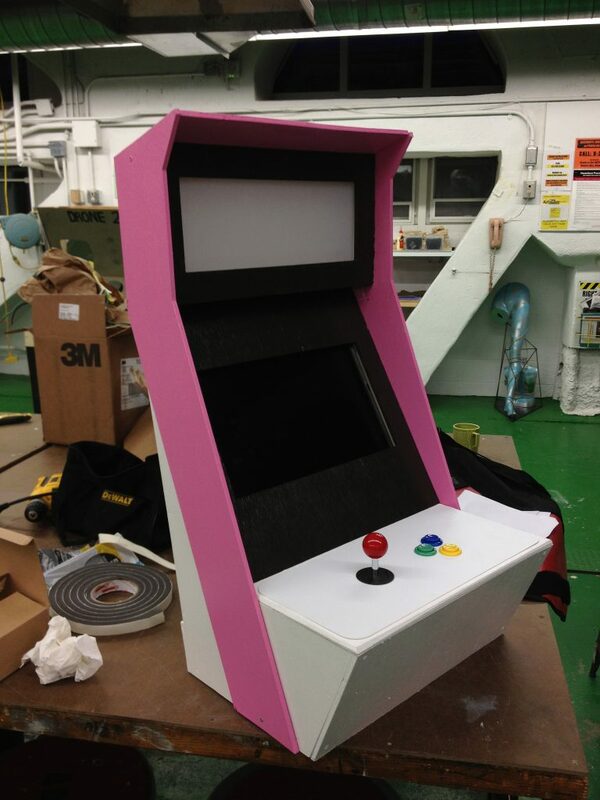 Paolo and his collaborators are planning to use it again for a series of new arcade events in Pittsburgh. Arcade Backpack was supported by a microgrant from the Frank-Ratchye Fund for Art @ the Frontier (FRFAF)— an endowment founded to encourage the creation of innovative artworks by the faculty, students and staff of Carnegie Mellon University. With this fund, the STUDIO seeks to develop a cache of groundbreaking projects created at CMU — works that can be described as “thinking at the edges” of the intersection of disciplines. Paolo Pedercini is a Visiting Assistant Professor of Art at Carnegie Mellon University.